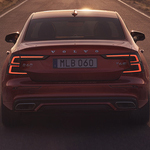 If it is true driving pleasure you are looking for, then Volvo S60 R-Design should rise to the top of your car buying list. At Bill Kidd's Volvo Cars, we will put you inside a car that features contour seats with open grind textile or Nappa leather. Experience that calming feeling when you sit down in an interior filled with high-gloss decorative inlays. Discover that engaging feeling when you sit behind the wheel of a Volvo S60 R-Design. This luxury sports sedan gives you much better handling and cornering with its lower, stiffer front and rear suspension. Aside from all the exterior design features, the Volvo S60 R-Design is truly a luxury sports sedan built for those who love to drive.